November 2015. Exhibition projects “under construction/le moment supreme” at Mark Rothko Art Center in Daugavpils, Latvia. October 2015. Exhibition projects “under construction/le moment supreme” at the National Center of Contemporary Arts in frame of the Belarus Month of Photography 2015 in Minsk/Belarus. September 2015. 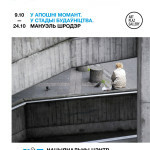 By the 2nd Month of Photograph in Minsk/Belarus the catalogue appears, including texts to both photo artprojects “under construction” and “le moment supreme”. June 2014. Giving and taking – this is always a tense relation. 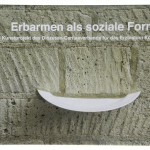 The project “Compassion as a social shape” picks up on this artistic expertise in searching, critical examination. The spectrum of artistic involvement encourages greater perception. September 2010. Like no other contemporary art form the light art has changed during the last years and today enters narrow alliances with the media art and the art in the public space. June 2008. In the context of the social space orientation a photographic social space investigation is also carried out often. 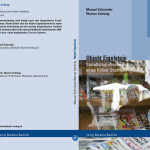 For this the Cologne „Eigelstein quarter“ offers in his varied social-economic stratification and the rich photographic tradition exemplarily. The volume encloses beside very different student picture contributions also photographs or an accompanying text of the authors.